Top five, baby! This is serious business, ladies and gentlemen. I don’t want to overstate it, but wars have been waged over the upper half of a quality top ten list, and the fate of humankind now sits firmly in my hands. I don’t want this to change your opinion of me, but maybe you could just look down at your feet when I pass by? That would be great. Jk obviously because attention makes me uncomfortable. #truth Let’s do this thing! With the “fire” aspect covered, the “ice” side took huge strides forward this year, as well, particularly in the episode “Hardhome,” a ruthless battle against the White Walker army that proved how much we need those three cuddly dragons. In my mind, this was one of the two best episodes of the year (the other belonging to an as-of-yet-unmentioned entry): directed to perfection, the choreography of chaos never looked so flawless. In one episode, Benioff and Weiss reasserted their dominance of the television epic. Heart-pounding and brutal, it was the show at its best. Elsewhere, Thrones used its fifth season to perfect what it’s already done so well. Namely, the excellent writing masterfully characterizes the Westerosi flora and fauna in surprising ways. I never expected to feel as deeply for Cersei Lannister as I did this season, but how painful was it to watch her, imprisoned by the High Sparrow, licking water from a dungeon floor? Or, an episode later, witnessing her horrific Walk of Shame through the streets of King’s Landing? Needless to say, I’ll never look at Cersei the same way again, and her character — not to mention Game of Thrones itself — is better for it. So few shows reveal the dimensions and facets of its characters as well as this one, making for a more complex and challenging experience. Surprise abounds this year, too. Everyone from Braavos to Dragonstone has been yammering on about the death of Jon Snow at the hands of the Nights Watch brotherhood (as well as predicting the details of his likely resurrection), and with good reason. 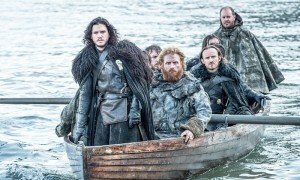 The best of television surprises, but Game of Thrones is the only show on television unafraid to knock us completely off our axis and force us to redraw the lines of our expectations time and time again. We might scream and cry in the moment, lamenting the sadistic mind of George R.R. Martin, but we wouldn’t have it any other way. Television is a braver, more uncompromising place thanks to the ten incredible episodes per year that transport us to Westeros. 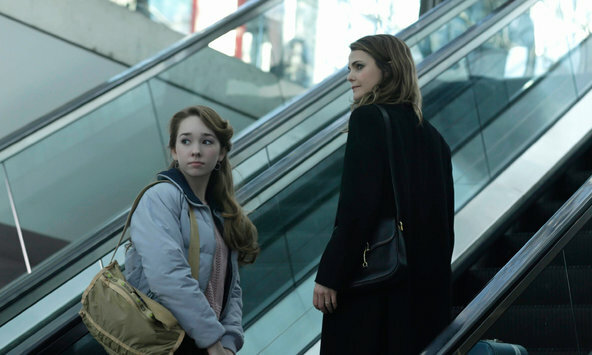 Few shows manage to quicken your pulse while simultaneously engaging your intellect and judo-chopping you directly in the feels, but FX’s The Americans pulls off that balancing act with each and every episode. 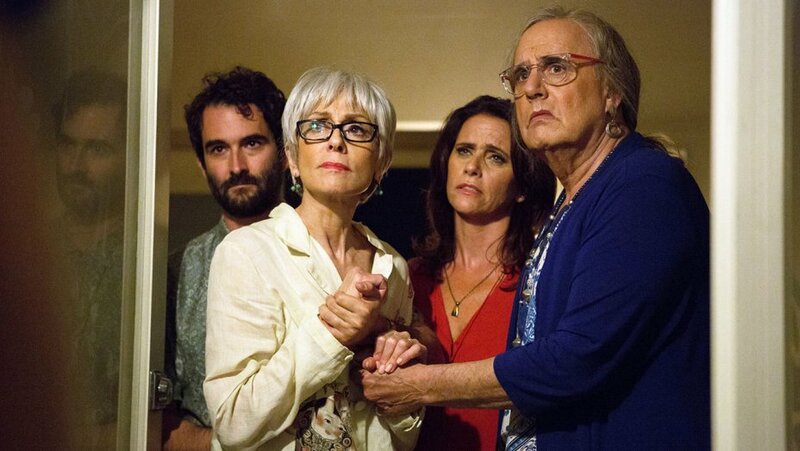 Its third season might be its best yet as Jennings daughter Paige becomes increasingly savvy to Elizabeth and Phillip’s clandestine goings-on, culminating in one of the year’s ultimate OMG moments that guarantees to change everything moving forward. In most cases, a spy drama would find itself relegated to “genre” television, but The Americans is no typical series. The further we get into this thing, I’m damned certain it will take on the scope of a great Shakespearean tragedy. For a show that dwells in morality’s grey area as often and with as much success, the impending tragedy is all but certain. The tension, masterful in its execution, is simply a matter of how long these Soviet spies can stave off that inevitability. Keri Russell and Matthew Rhys as the Jennings matriarch and patriarch deliver flawless performances. It takes a true actor or actress to convince us of the level of deception required in order to make this show work, but Russell and Rhys accept that challenge and better it. Their work has always been and continues to be balletic in every sense of the word: we don’t doubt for a second that they’re committed Soviet spies, nor do we question the familial ties tethering them to America. Brilliant work. Toss in great supporting work from Frank Langella as handler Gabriel, Noah Emmerich as tenacious FBI agent and Jennings neighbor Stan Beeman, and Alison Wright as the beleaguered wife of Phillip’s undercover identity “Clark,” and you have a cast difficult to beat. The Americans proves that dramatic television need not pander to generate genuine thrills because it understands something so few shows do: it treats its central conceit as metaphor. 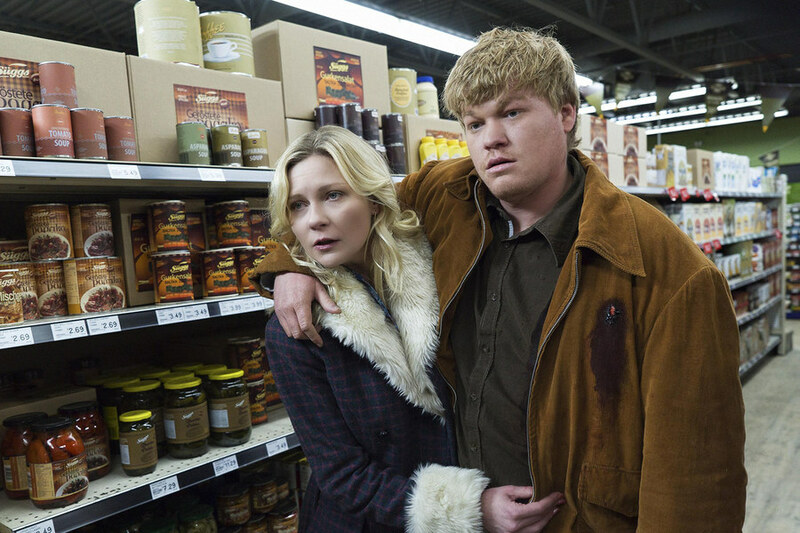 Sure, we’re interested in the notion of Soviet sleeper cells in 1980s America, but we stick around for the powerful meditations on family, loyalty, dedication, and identity. 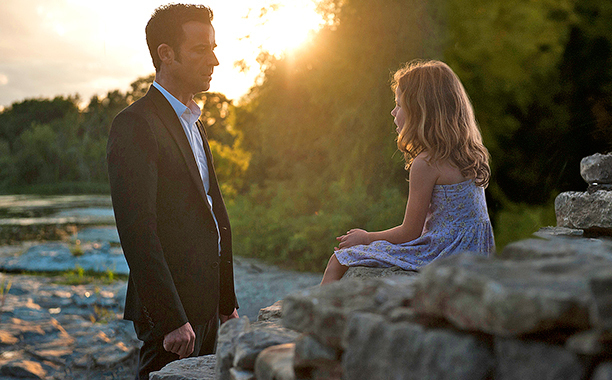 It’s a parable, an allegory, and a testament to the power of character-driven storytelling. For true TV lovers, it’s also must-watch television. We’re about to crack the top five! Come on back tomorrow to see the next entry in #top20in20. Seven is one good number, wouldn’t you say? It’s the number of seasons of the all-time great Homicide: Life on the Street, the episode total of the chilling British science fiction series Black Mirror, and the number of Jeff Probst voodoo dolls in Chris Harrison’s collection. The number seven means a lot in the world of television is my point, and it’s the same right here in my fourteenth entry of #top20in20. We saw many beloved series depart from our television screens for good in 2015, but none of them managed to compose a final run of episodes to match the outstanding final season of FX’s Justified. We always knew that the story would, ultimately, come down to a stand-off between Raylan Givens and Boyd Crowder. However, what we didn’t anticipate — couldn’t have anticipated — was the way in which this arc played out over these last thirteen episodes. 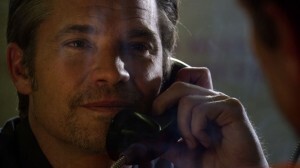 Over the course of the show’s run, the characterizations of Raylan and Boyd ran parallel. Take away Raylan’s Marshall’s badge and plop him amidst the Harlan Country criminal underground, and you wouldn’t be able to differentiate him from the likes of Boyd Crowder. Sure, Justified isn’t the first show to suggest the good guy and his villainous counterpart are two sides of the same coin, but I’ve never seen it handled exactly like this. Consistently excellent writing — smart and witty and filled with pathos — did more than tease us with these similarities; instead, it used this idea to construct its final season, and long-time viewers were rewarded with one of the greatest, and most surprising, series finales in the history of the medium. I guarantee you didn’t — or couldn’t — guess how this thing would end, and that’s just as it should be. When Justified was at its best, the witty barbs flew as fast and furiously as the bullets, and that certainly describes the seventh season. From outlandish violence (that tussle in Micky’s trailer goes down as one of the most brutal action sequences the show ever staged) to lightning fast repartee (I could listen to Raylan insult Dewey Crow and Boone all day, not to mention Boyd’s overly verbose meanderings), Justified leaves a legacy as a thinking person’s western: that classic story of lawman versus outlaw elevated to the status of a great work of literature. Aziz Ansari, we can all agree, is one funny dude. From his standup specials to his stint as Randy in Funny People and Tom in Parks and Rec, we knew this guy could bring the funny. But with Master of None, Ansari emerges as the next auteur of television; his writing positively bursts with insightful examinations of race, gender, and identity, couched inside a hilarious show that is also — oh sweet miracle of miracles — effortlessly diverse. It’s also, hands down, the best show on Netflix. Amongst so many stand-out episodes, I found it difficult to pick a favorite. “Parents” becomes a fantastic rumination on the pre-immigration lives of the parents of Ansari’s Dev and Kelvin Yu’s Brian. It also has the added bonus of introducing Ansari’s real-life father Shoukath as Dev’s dad, and that man is hilarious. Meanwhile, “Indians on TV” examines the lack of diversity on television to hilarious and thought-provoking effect, while “Ladies and Gentlemen” illuminates the institutional misogyny plaguing modern women. How could I choose a favorite amongst such a great collection of work? Of course, the show isn’t strictly a platform for Ansari’s musings but also an equally adept and genuinely funny story of dating today. Frank honesty and gut-busting comedy coalesce to create a series unlike any other you’ve seen. The closest I can think of is Louis C.K.’s fantastic Louie, but even that comparison doesn’t align; while that show relishes its more sad-sack tone, a hopefulness pervades Master of None. Sure, Ansari and co-creator Alan Yang know life out there ain’t perfect and can be downright unjust and cruel and rough, but in shedding light on some of these dour truths, an implicit optimism — for a more enlightened tomorrow — underpins it all. In just a single, ten-episode season, Ansari seems to have his artistic vision and point of view firmly established, and television is much better for it. Somebody pop the champers, because this marks my 100th blog post right here at overstuffeddvr.com! That such an occasion falls in the midst of my #top20in20 project makes it even more special; I’m enjoying the hell out of this process and hope you are too. So, I’ll return to my introductory bits for tomorrow’s posting, but let’s just have a private dance party to celebrate hitting the centennial. Somebody cue the C+C Music Factory because I feel the Braverman Fever taking over! I can think of no higher compliment to pay this prequel series than to say that the excellent writing and compelling performances cast me under such a spell that I didn’t miss Breaking Bad for a single minute of its running time. Trust me, no one was more surprised by that than I was. I mean, let’s be real: we all loved Bob Odenkirk’s Saul Goodman in the original show, but who amongst us didn’t approach the pilot episode with a healthy dose of trepidation? 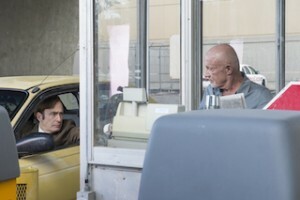 Even the superfans in our midst must have wondered if we really needed to put Saul, a secondary and more comedic character, at the center of his own series. Fortunately, the answer, it turns out, is absolutely, yes we did. 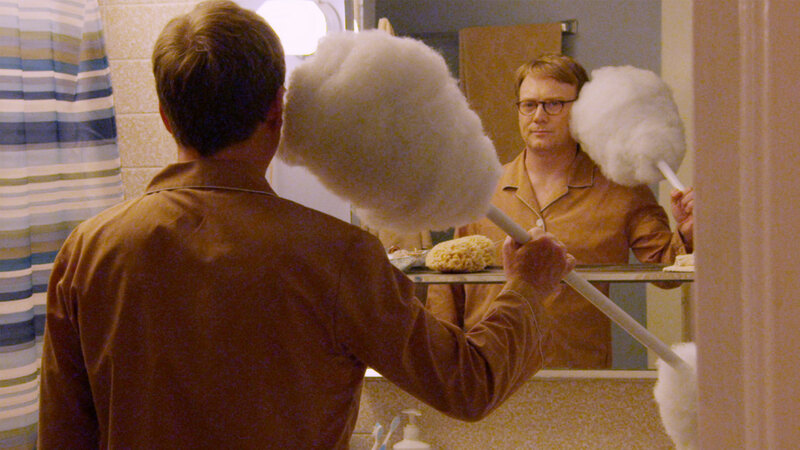 There’s something fascinating about watching the transformation of Jimmy McGill with the full knowledge of his ultimate destiny, and Peter Gould and Vince Gilligan use this ironic distance to tease our expectations. The show constructs the perfect moral tightrope for Jimmy to walk: despite his best efforts to be good, the allure of the grift is too strong. In my mind, the show can attribute its success to this because, through it, Saul generates its hook, its empathy, and its suspense. Sure, it’s a lower-key level of intensity than that of its heart attack-inducing sister series, but this damn thing just grabs you and pulls you along, based solely on the construction of this central character’s moral dilemma. It’s a masterclass, craftsmanship of the highest order. Odenkirk nails it. Jonathan Banks, returning as Mike Ehrmentraut, does the same. But it’s Michael McKeen’s Chuck McGill — brother to Jimmy — surprising us most of all; it’s a powerhouse of a performance. His emergence as the series’ “Big Bad” unfolds perfectly over the course of the season, handled with such assiduity and subtle nuance that the revelation lands like a kick to the chest because it feels both out-of-nowhere surprising and completely inevitable. It’s a testament to the show’s understated brilliance. Trust me, the guy who read AMC’s announcement of this show two years ago would have never expected Better Call Saul to become not only the best new dramatic series of 2015 but also one of the very best shows on all of television. But, then again, the guy writing this now would have been an absolute fool not to include it here. One of the absolute best network comedies not just of the past decade but of all time, Parks and Rec signed off earlier in 2015 with a string of excellent episodes that balanced heart-warming feels and gut-busting comedy. 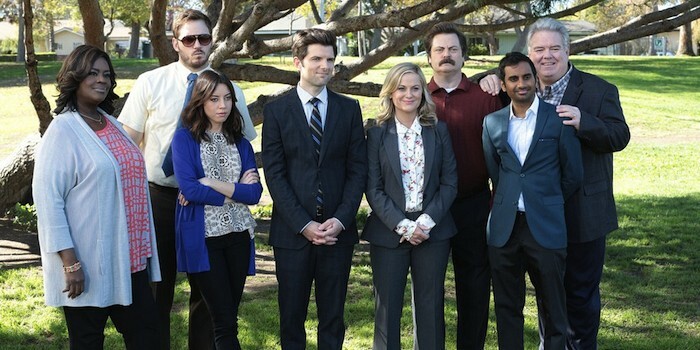 The likes of Leslie Knope, Ron Swanson, Ben Wyatt, Tom Haverford, Andy Dwyer, April Ludgate-Dwyer, Donna Meagle, and — yes, even — Jerry Gergich left indelible imprints on the television landscape, and this victory lap of a season reminded us what made Parks and Rec so special: its affection for its characters. In a post The Office world, comedy shifted in a more caustic direction, so — while I love both the British and American versions of that fantastic show — Parks and Rec did something daring: it refused to condescend to or mock its characters. Instead, it would present them as fully-formed human beings, replete with strengths and foibles, and challenge its audience not to fall in love with them. And, for those of us taken by this wonderful menagerie of weirdos, fall in love we did. Parks and Rec signed off as it signed on: with its trademark optimism and positivity worn very much on its sleeve. And how about that doozy of a time-jumping finale that served each of our characters just as they should have been? For me, the image I’ll take away from this episode and series is so emblematic of what I loved about this show: that look of peace that settles across Ron Swanson’s face as he paddles his canoe to the middle of Lake Pawnee. Bliss, folks. That’s what life should be, not just in the world of Pawnee but ours. The unmitigated, unfiltered joy of just being. And as far as comedy series go, that’s one hell of a legacy.